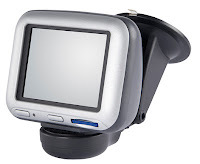 Good Garage Scheme Car Servicing in Great Britain : Would you trust YOUR Sat Nav? Would you trust YOUR Sat Nav? It has been reported that in the last twelve months alone, in excess of £200 million damage has been caused to vehicles due to misleading instructions provided by motorists’ personal satellite navigation devices. According to confused.com, this has affected up to 83% of users and of those, 68% have incurred higher mileage as a result of misleading directions provided. Head of car insurance at confused.com, Gareth Kloet, had this to say: "As car insurance costs continue to rise, it's never been more important to keep your motoring costs as low as possible. Our research has shown that the Sat Nav is not always the blessing it was once hailed to be and, increasingly, motorists appear to be citing the device as a source of frustration and danger." Norman Baker, the Transport Minister, has revealed his intention to bring the organisations that provide the various sources of the data for Sat Navs together in order to improve the accuracy of the data provided to motorists, by means of a “Sat Nav Summit” next month. Emotions reported in confused.com’s survey include anger and frustration, leading to the majority of those surveyed eventually shouting at their device due to its misleading advice. Good Garage Scheme member garages are easy to locate with or without a sat nav, where directions can be found both on the website and on the Good Garage Scheme app – available for the iPhone and Android devices.